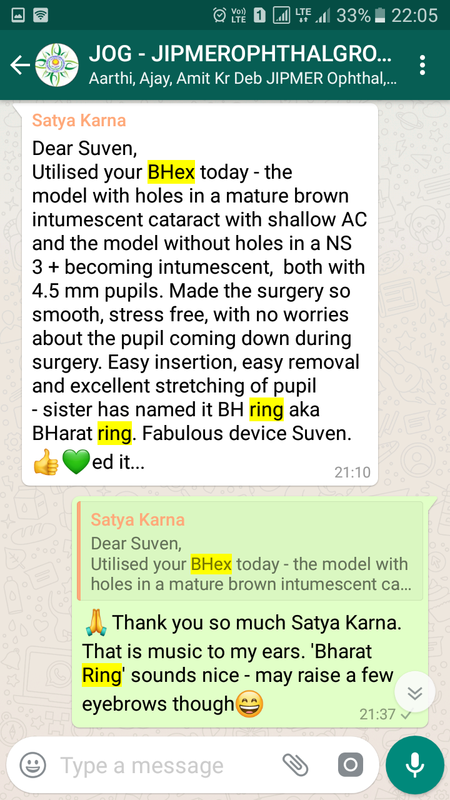 The B-HEX Pupil Expander allows me to adequately dilate the pupil with minimal trauma to the sphincter through very small incisions during cataract surgery making my surgery much easier. 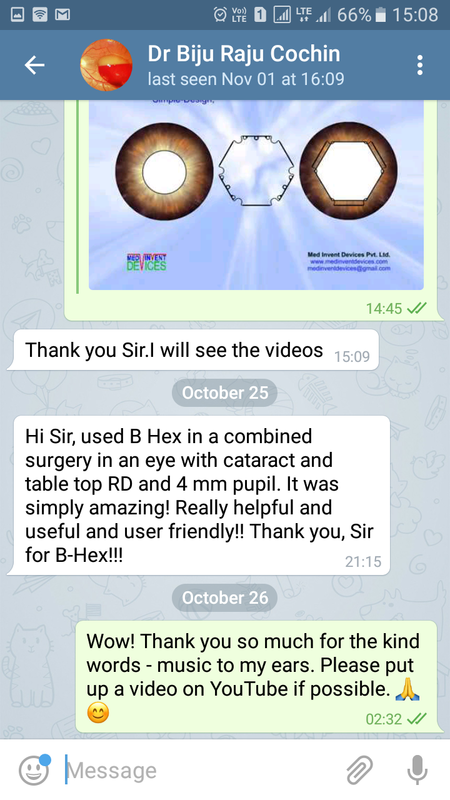 I am impressed with B-HEX Pupil Expander’s ease of use. 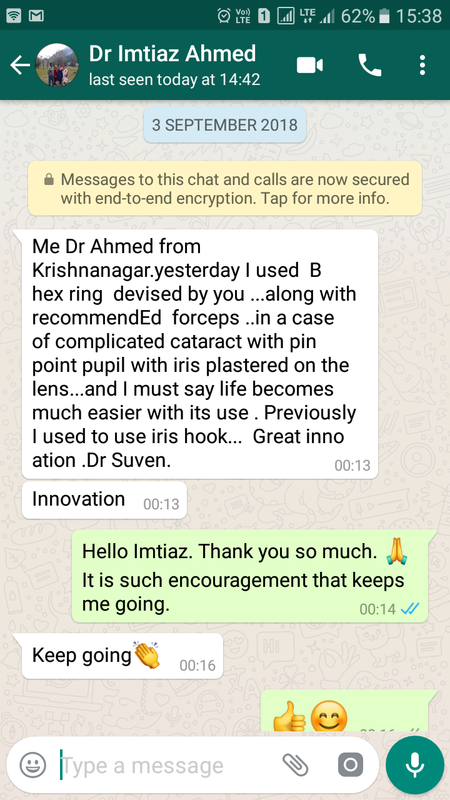 What a wonderful addition to the armamentarium of pupil expanders with the considerable advantage of being able to insert this device through a 1 mm incision / paracentesis. 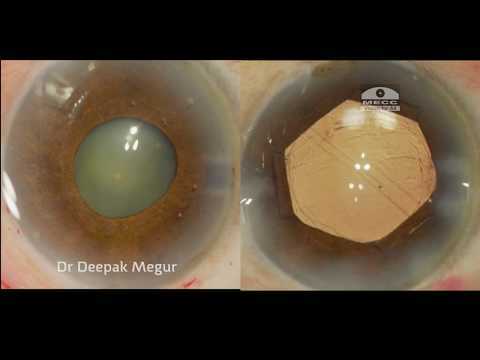 It permits Femtosecond laser assisted cataract surgery without the need to suture the wound. 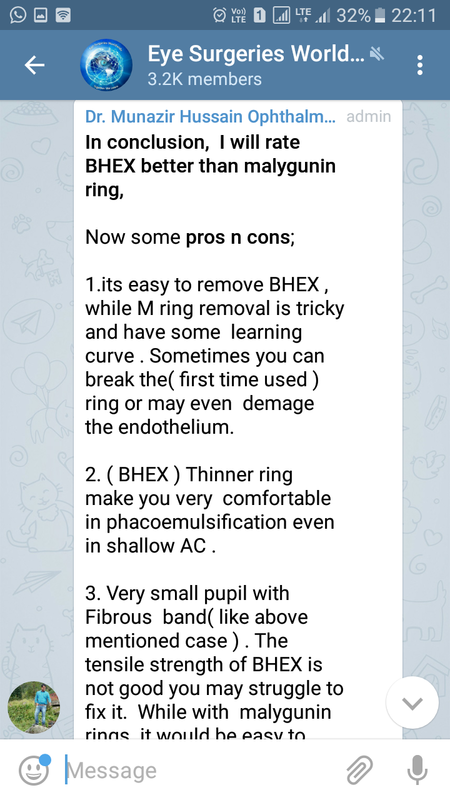 Quick to use and very simple to remove! 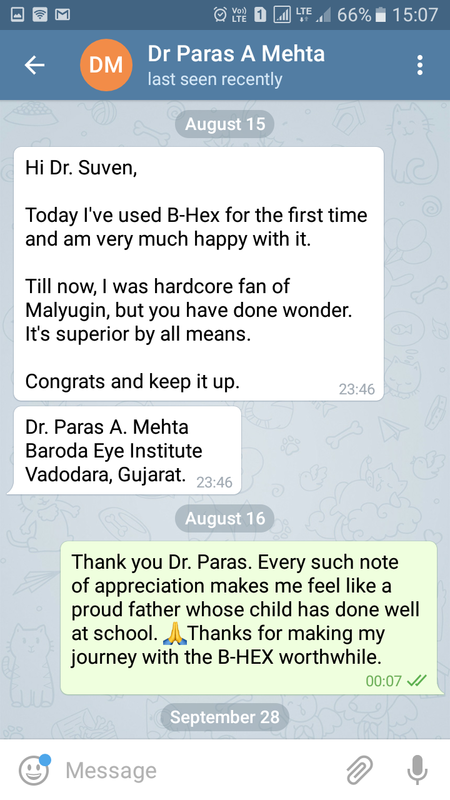 Dr. Sheraz Daya, MD FACP FACS FRCS(Ed) FRCOphthChairman and Medical Director, Centre for Sight, London, West Sussex & Surrey. 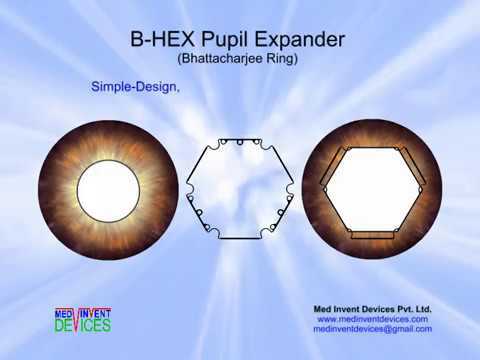 Till Date, B-HEX is THE BEST device for Small Pupil Management! 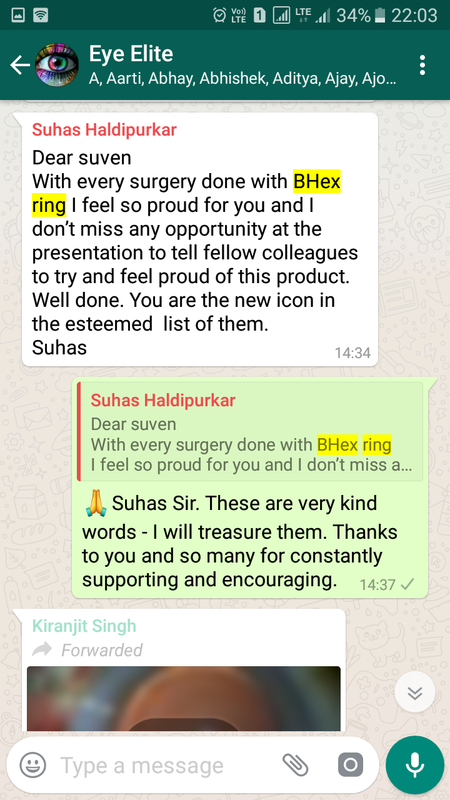 B-HEX" for small pupils, the "Lord of all Rings", versatile, easy to insert & remove, easy handling even in beginners hands! 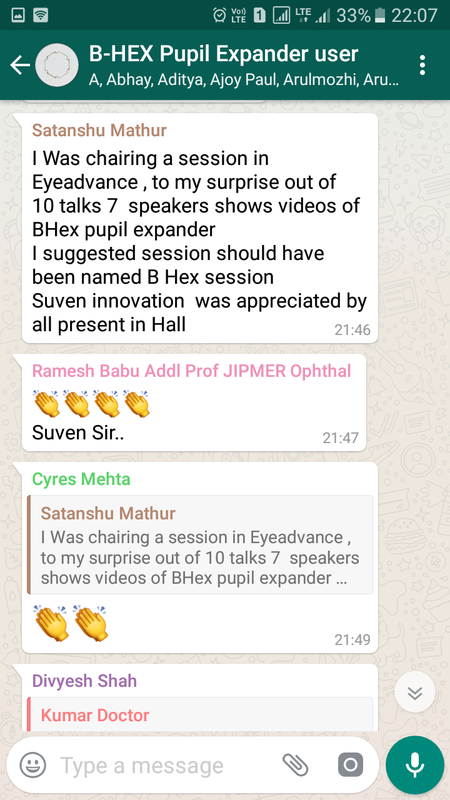 B-HEX is a Marvel - Hats off! 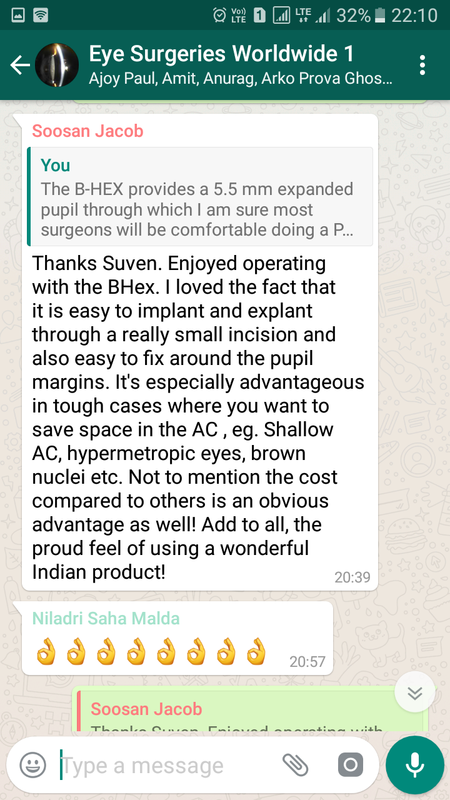 Artistically packed for a simple easy insertion thru a 2.4/2.8mm incision. 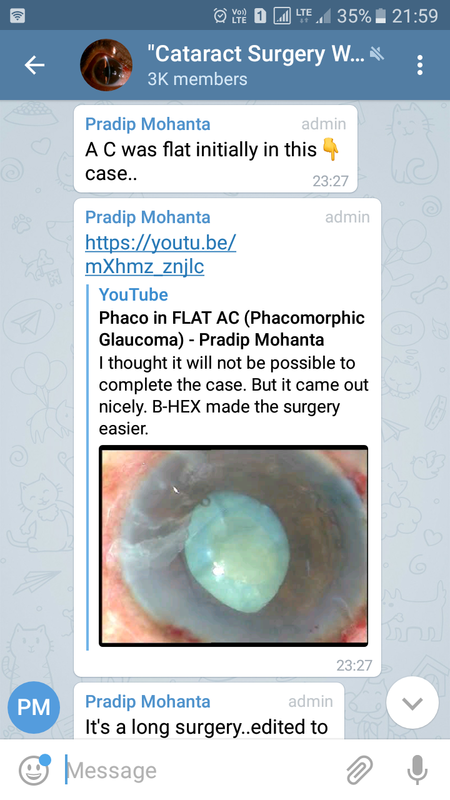 Gives a optimum maintained pupillary dilation all through the steps of phaco emulsification very easy to remove from the AC. 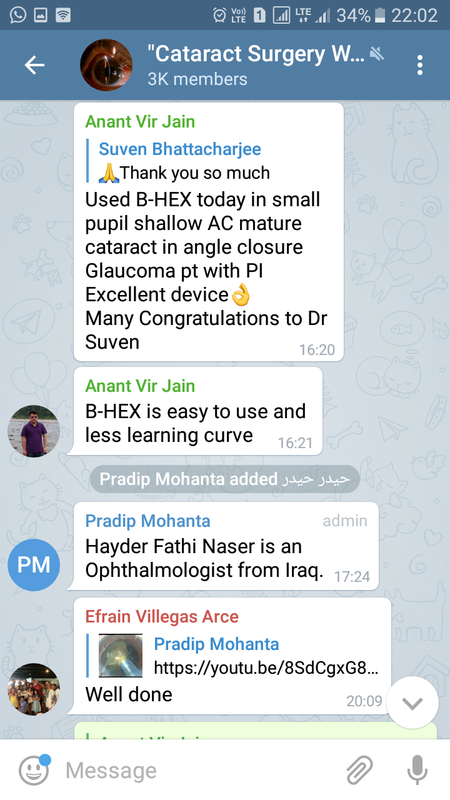 I recommend to all beginners and seniors cataract surgeons. 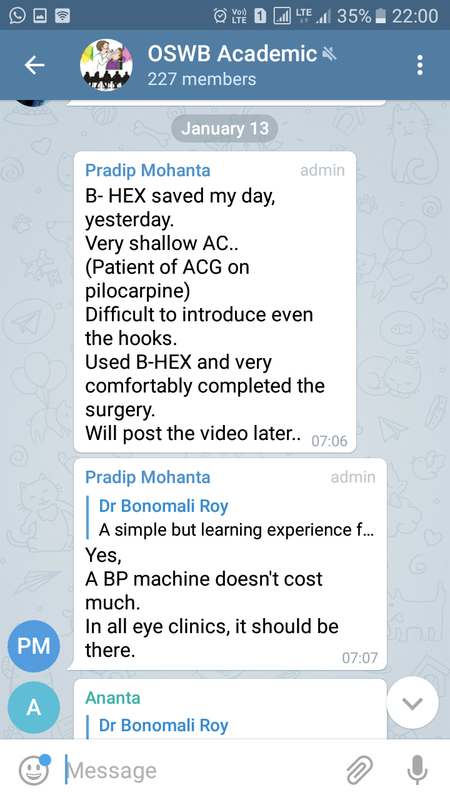 Thanks a lot to Dr Suven for giving a such simple cost effective B-HEX to tackle difficult situations in phaco. 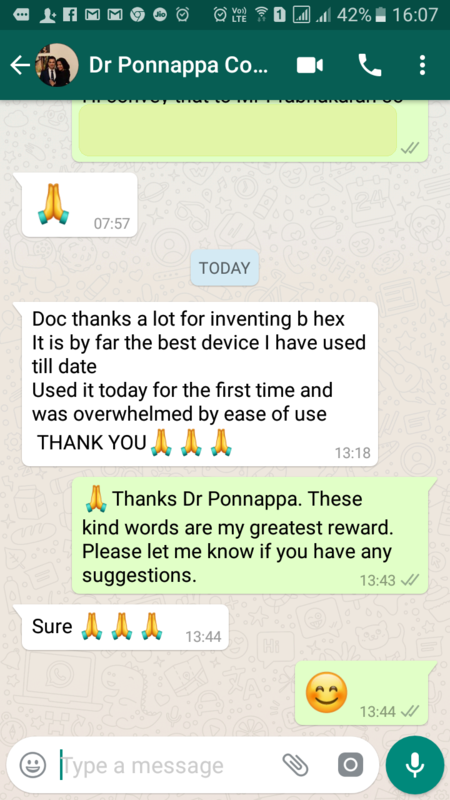 The B-HEX is a fantastic device... Makes surgery safer and easier.. 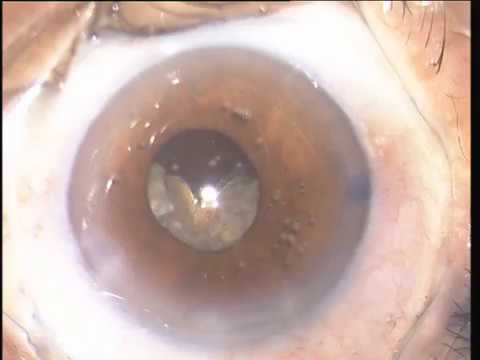 It is easy to use and the post operative cosmesis with a regular pupil is amazing!